The energy system of ECOWAS faces different challenges in correlation with energy access, energy security and climate change. The current energy situation with the highest energy intensity in the world does not allow for social and economic development and affects the well being of people in the region. The ECOWAS Center for Renewable Energy and Energy Efficiency (ECREEE), under the SEEA-WA project elaborated the ECOWAS energy efficiency policy and set regional targets for energy efficiency measures in ECOWAS Member States. This policy has been adopted by the Heads of Government and authority of the ECOWAS Member States. The ECOWAS Energy Efficiency Initiative on Standards and Labelling (S&L) aims at the development and implementation of regional standards and labels for energy equipment, to be adopted by all ECOWAS Member States. The main objective of the initiative on energy efficiency standards and labelling is to encourage regional cooperation on the development of ECOWAS regional standards and labels for energy efficient equipment. The ECOWAS Initiative on Energy Efficiency in Buildings elaborated as part of the implementation the “Supporing Energy Efficiency Acces in West Africa (SEEA-WA)” project, funded by the European Union with co-funding from the Agence de l'environnement et de la maîtrise de l'énergie (ADEME) and the United Nations Development Program (UNDP), will support the region's power distribution companies in putting into place the infrastructure, as well as the administrative and management tools, necessary to achieve world class performance in power grids. 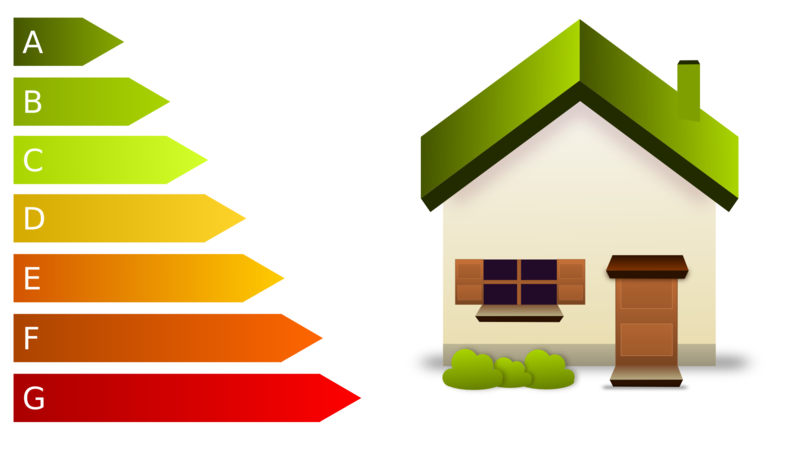 The ECOWAS Initiative on Energy Efficiency in Buildings aims to promote reliable and affordable energy services in buildings, both in urban and in rural areas, by building on national activities and creating an added value through activities at the regional level. Lighting is the electricity use that concerns the largest number of West African households and it represents 20% of electricity consumption in the ECOWAS region. The transition to energy efficient lighting is a straightforward and cost-effective approach for the region to significantly reduce electricity consumption during peak periods, enabling greater economic growth and social progress, enhancing literacy, safety and productivity throughout West Africa. The objective of the efficient lighting initiative is to phase out inefficient incandescent lamps, and replace them with high efficiency lamps. The ECOWAS Initiative on High Performance Distribution of Electricity elaborated as part of the implementation the “Supporting Energy Efficiency Acces in West Africa (SEEA-WA)” project, funded by the European Union with co-funding from the Agence de l'environnement et de la maîtrise de l'énergie (ADEME) and the United Nations Development Program (UNDP), will support the region's power distribution companies in putting into place the infrastructure, as well as the administrative and management tools, necessary to achieve world class performance in power grids. The objective is to reduce network losses to under 10% of generation is technically and economically feasible. It would release over 1 400 MW of power for new uses and new users. Taking action to improve the efficiency of transmission and distribution networks would help the region achieve universal access to modern energy, improve energy security, as well as accelerate economic growth and social progress. It would reduce annual GHG emissions by approximately 2 MtCO. The sustainable energy initiative seeks to lower a number of barriers by boosting Member States' ownership at regional and national level of financial engineering instruments for renewable energy and energy efficiency programmes and projects and by encouraging ECOWAS members to call on a combination of financial instruments during the project cycle. Taking a cross-cutting approach, it will begin by identifying the most suitable financial mechanisms for the other priority initiatives. It will rely on the existing financial architecture in West Africa and link in with the other ongoing regional programmes.